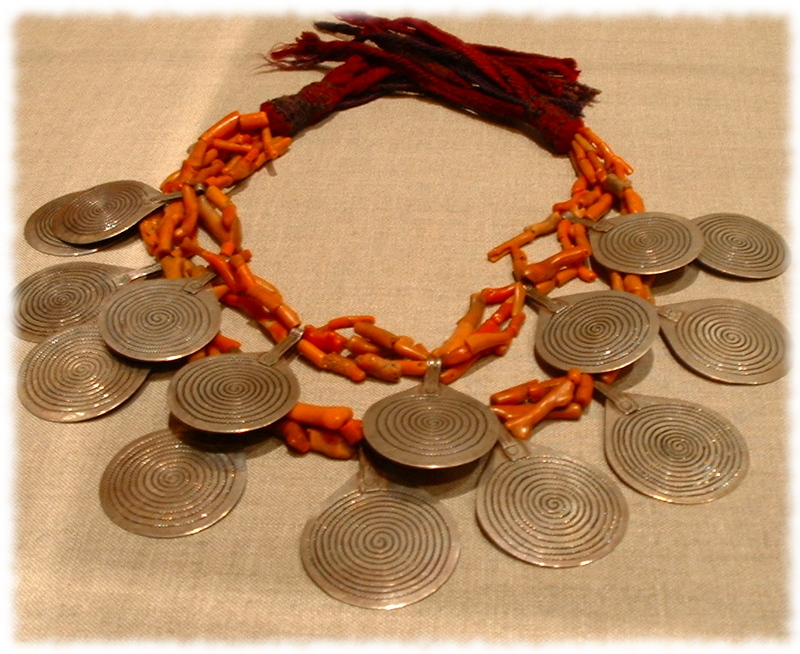 I have always been fascinated by the jewelry of the African continent. Each region (I hesitate to say country because those are mostly artificial creations of colonization) has its own style and these are broken down further depending on the tribe or ethnic group. 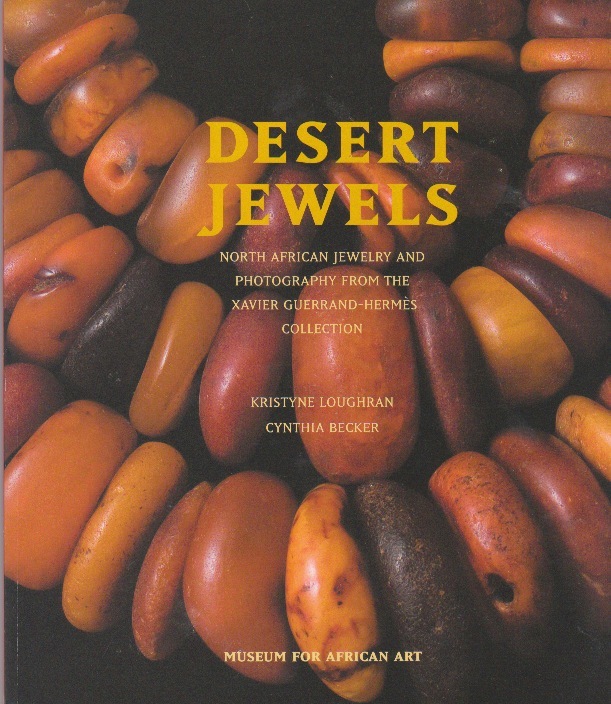 Some of my favorite designs come from North Africa, so I jumped at the chance to see the Desert Jewels: North African Jewelry and Photography exhibit at the Philadelphia Museum of Art last year. If one word describes North Africa Jewelry, it’s flamboyant. These massive jewelry pieces blend design traditions (Moorish and Jewish for example) and materials that could be local or that could have traveled thousands of miles on the back of a camel. 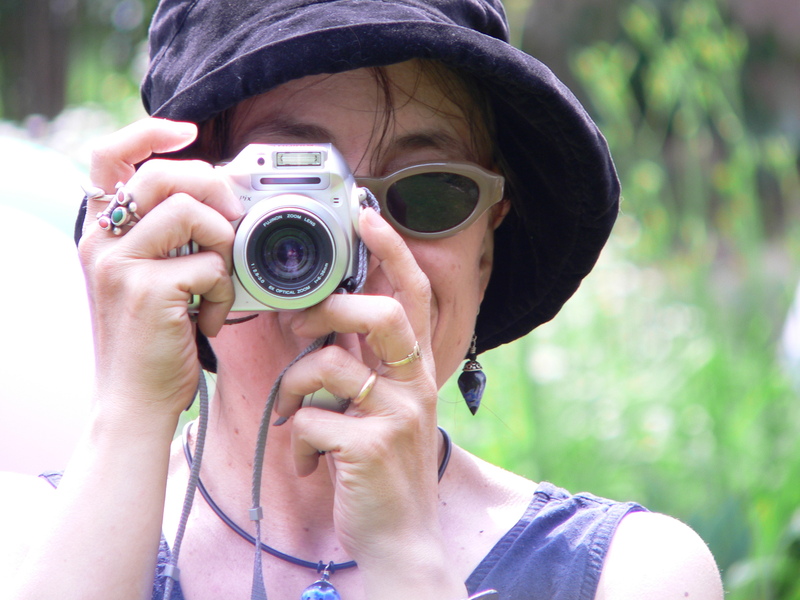 Most of the jewelry is meant to be worn every day; some is ceremonial. It’s not uncommon for a piece to be taken apart and refashioned into another design. Gold is rare and most of the materials are not precious. I was surprised to see the Star of David motif on so much of the jewelry, even though the Jews have long been a presence in Morocco. And the jewelry is stunning. 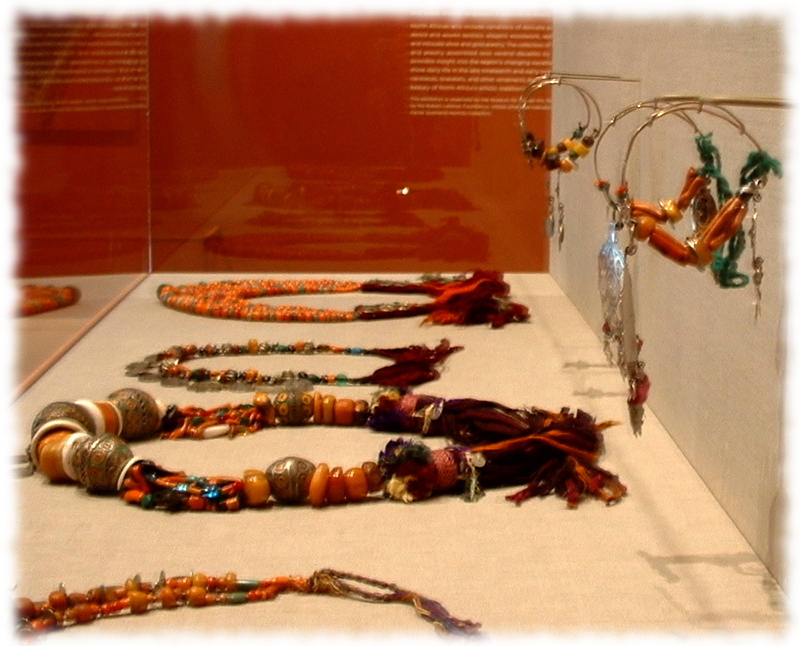 The photographs in the exhibition gave me the opportunity to see some jewelry as it was worn and and to catch some glimpses of this exotic part of the world portrayed as even more exotic and mysterious for the Western audiences, sometimes by staged scenes or the use of fake back drops. The Exhibition was put together by the Museum for African Art. I highly recommend the exhibition book. If you buy it directly from the museum, you will help to support local African artisans and museum programs. I basically learned about much of this, but with that said, I still believed it turned out practical. Beautiful post!